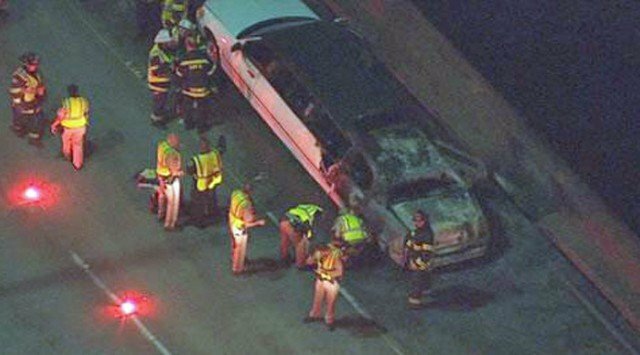 Five women died and four were injured when a stretch limo caught fire on the San Mateo bridge near San Francisco on Saturday night. Only the male driver escaped unhurt during the incident at 20 miles south-east of San Francisco, a police spokesman said. The fire was reported around 10 p.m. on Saturday on the bridge which connects San Mateo and Alemada counties at Foster City. “We have no idea right now where they were going or where they were coming from,” California Highway Patrol officer Amelia Jack told KGO-TV.